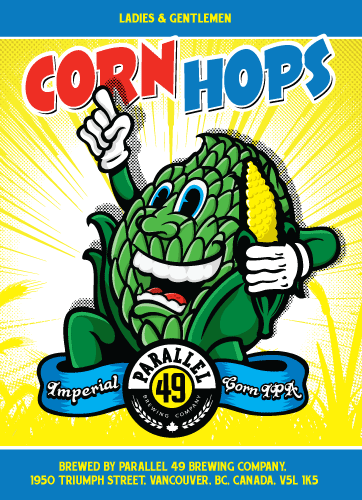 Description: P49’s latest summer seasonal is a new take on the Imperial IPA. Combining Pilsner malt with flaked corn, this Imperial IPA is then hopped with a significant dose of Chinook, Ahtanium, and Citra hops to achieve a strong but slightly sweet brew packed with citrus and tropical fruit flavors. Tasting Notes: This was definitely a consistent P49 offering! As always, the combination was quite interesting and the end result quite flavorful. The infusion of corn added a hint of sweetness and light color to an otherwise malty Imperial IPA. And of course, the heft hopping added plenty of citrus, passion fruit, and pineapple flavors, along with a nice, dry herb essence. 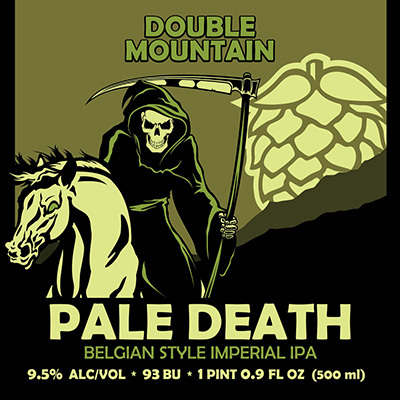 Description: Originally from Denmark but currently headquartered in Brooklyn, the Evil Twin Brewery is a gypsy operation that produces limited-edition and one-off beers as well as a series of seasonal and year-round beers available internationally. This all-season Imperial IPA hails from the Fanø Bryghus microbrewery of Denmark, and is faithfully brewed to create a heavily- hopped beer with a heavy malt character. Tasting Notes: This is my first time trying anything by Evil Twin and their Imperial IPA can definitely stand alongside anything I’ve tried here on the West Coast. Employing rich and coarse malt base, it also has some serious hop content. This comes in the form of the usual strong citrus and tropical notes, but which are decidedly English in character (i.e. more subtle). The brewery is definitely worth further investigating!